Wednesday night was a historic night in the NBA. In my years as a basketball fan, I’ve never seen so much excitement in a five hour span during the regular season. Everyone’s been talking about Kobe’s legendary 60-point final game and the Warriors beating surpassing the ’95-’96 Bulls with their 73rd win, and rightfully so. But being a Celtics fan, I’m going to focus on my favorite part of the night. Boston’s improbable comeback against the Heat. 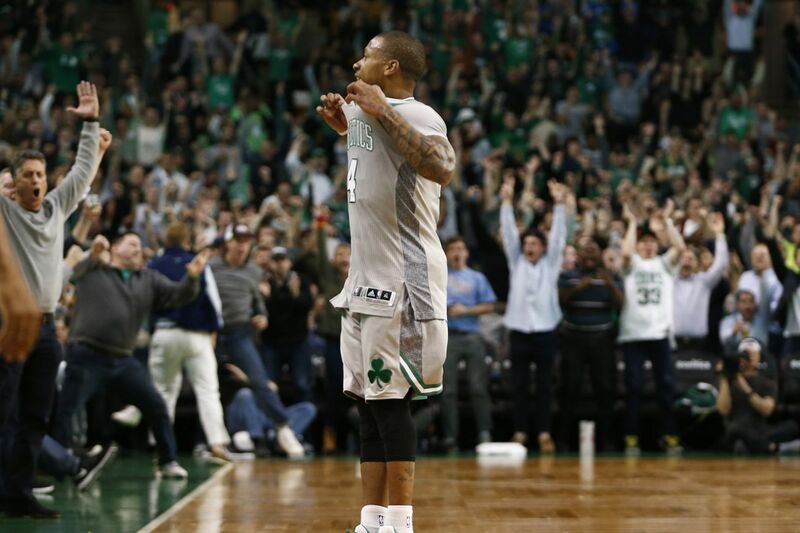 The C’s had arguably their worst performance of the season on Monday against the Hornets when they were absolutely embarrassed on their home floor. Unfortunately, they’re still feeling the repercussions of that loss as they no longer have home court advantage in the first round of the playoffs. In their regular season finale against Miami, it looked like the Celtics were going to duplicate Monday night’s debacle. They came out looking completely uninterested and spent the majority of the first half running around like chickens with their heads cut off. Heading into halftime, the deficit was 26. The C’s turned it up on the defensive end and held the Heat to just five points in the third quarter, outscoring them 25-5. I’m not sure what got into them, but Brad Stevens must have given a hell of a halftime speech. When all was said and done the Celtics pulled out a miracle 98-88 victory to finish the season 48-34. Before the year I said they would win 50 games. Two wins off isn’t too bad, and neither is an eight win improvement over last year. Unfortunately they lost two of the last three games of the year to drop to the five seed and will have to head to Atlanta for game one of their first round series against the Hawks. As Celtics fans, we’ve become somewhat familiar with playing Atlanta in the first round in recent years (2008 & 2012) and we know how loud Philips Arena can get in the playoffs despite being one of the emptiest arenas in the league during the regular season. Atlanta might have the largest collection of bandwagon fans in all of sports. Check back for a season recap and playoff preview before Saturday’s round one opener.